Rural physicians are a rare breed. One fifth of Americans live in rural areas, but only about one tenth, or 9 percent, of physicians practice there, and the number of specialists per 100,000 residents in rural areas is half that of urban areas. Since rural physicians are so few and far between, they are entrusted to act as the family physician, the emergency physician, the obstetrician and the gastroenterologist, often all in one day's work. In honor of our July community hospitals issue, which highlights small and often rural hospitals, we tracked down a few physicians who practice in some of America's tiniest towns, providing patients with a range of care. The following three family physicians are from towns with populations of 4,000 or less, and here they share how healthcare is different — and not so different — practicing in a rural community. John Haynes Jr., MD. Dr. Haynes is a 78-year-old family physician who has practiced in Vivian, La., (pop. 3,671), since 1966, when the town's hospital, North Caddo Medical Center, was just one year old. Located in the northwest corner of Louisiana, North Caddo Medical Center draws from a population of approximately 15,000 to 20,000 residents in Louisiana, Texas and Arkansas. When he first came to the rural hospital, he practiced with just one other physician, who passed away in 1977. Dr. Haynes practiced alone for nine years, until he was joined by Stephen Taylor, MD. North Caddo Medical Center has added five more physicians who were trained in the hospital's rural residency program, which is hosted in conjunction with two Shreveport-based hospitals: Louisiana State University Health Sciences Center and Willis-Knighton Medical Center. The program was first in the state and is one of 13 in the country today, and helped lead to the construction of a $26 million new facility. Dr. Haynes also won the first "Country Doctor of the Year" award from Staff Care in 1993. George Franklin, DO. 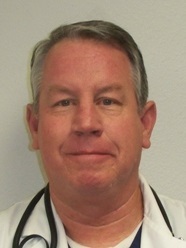 Dr. Franklin is a board-certified family physician who has served residents of Western Arizona since 1998. He graduated from Athens-based Ohio University College of Osteopathic Medicine in 1992 and completed his residency at Fort Worth, Texas-based Osteopathic Medical Center and fellowship at Bedford, Texas-based Columbia H.E.B. Hospital. The 59-year-old physician has hospitalist experience, but now operates a family practice affiliated with Parker, Ariz.-based La Paz Regional Hospital, a critical access hospital with a dominantly Medicare-patient population. Parker has a population of 3,083. Robert Bosl, MD. Dr. Bosl is a family physician who serves in Starbuck, Minn., (pop. 1,302). 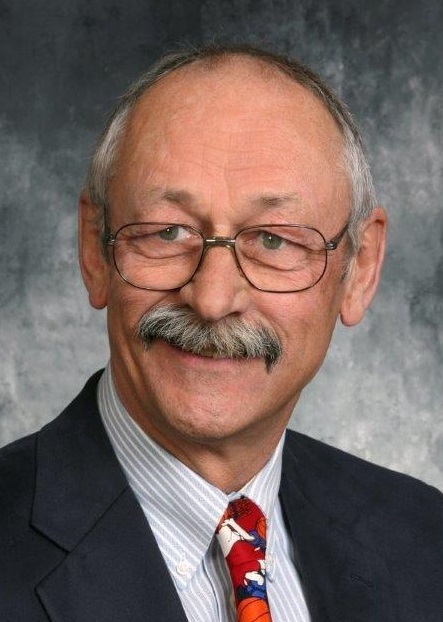 The 68-year-old Sauk Centre, Minn., native attended the University of Minnesota Twin Cities for his undergraduate degree, medical degree and family practice residency. Dr. Bosl is a decorated Vietnam combat medic and in 1994, he was invited to serve on a panel in Hungary with three other American physicians. There he advised the Hungarian government on developing a family medicine residency. He has served in Starbuck for 34 years and often drives 20 miles each morning to round on patients. Dr. Bosl won the "Country Doctor of the Year" award in 2013. Note: Responses have been lightly edited for brevity and clarity. Question: From your perspective as a physician practicing in a small town, what do you think is right with healthcare in the U.S.? Dr. John Haynes: Our expansion into technology has been fantastic over the years, with new antibiotics and other technologies. We now have the latest devices in medicine with up-to-date diagnostic assistance at our fingertips. We can look up any treatment now, whereas before we spent a lot of time on the phone calling specialists in cities. Technology has been a huge plus for rural physicians. The Critical Access Hospital and Rural Health Clinic designations have also been a financial help and a big plus for rural medicine. Dr. George Franklin: Healthcare is still by and large available to the majority of people. It's still accessible. There are a lot of limitations, but people by and large can still get reasonable high-quality care. I'm not optimistic about the future of healthcare though; I'm not sure there is a lot right with it. Dr. Robert Bosl: The absolute quality of care being provided is as high as it's ever been. The good feeling physicians get about practicing medicine is based on the relationship that develops in the exam room. All the positive things about healthcare occur in the direct interaction of the physician and the patient; everything else that gets in the way can be frustrating. Q: What do you think is wrong with healthcare in the U.S.? Dr. Haynes: Government interventions in medicine have caused a lot of problems. They are compounding the problem instead of fixing the problem. I've been in practice since before Medicare. When it came in, I really thought it was a fine thing — and it is a fine thing. I thought the Medicaid program was a good thing too for those who were truly indigent and unable to support themselves, but these programs have been seriously abused. One other thing is the EMR is destroying the time-honored physician-patient relationship. We are losing the art of medicine with these machines. When the EMR was introduced it was supposed to be time-saving, but it's anything but. The time it takes to put information into the EMR takes two to three times longer than the old way with paper. Residents are wasting time putting information into a machine when it could be done by paramedical personnel. Dr. Franklin: Non-medical people, usually third-party payers and pharmaceutical benefits companies, making medical decisions is unquestionably the biggest problem with healthcare in the U.S. They often want us to prescribe drugs we aren't comfortable with before more expensive ones. The divorcing of the patient and physician relationship has also dispelled an ill omen for the future of healthcare in the U.S., and I'm not optimistic. I think we are headed toward a Canadian type of system where healthcare is rationed. Dr. Bosl: My personal opinion is too little time and energy is spent taking care of patients and too much time and energy is being spent on the administrative parts of delivering care. Our society is not getting a good bang for its buck when it comes to health insurance. Too much is wasted on the administrative level at insurance companies and even more so at the clinical level because we have to jump through so many hoops just to keep the insurance industry happy. This includes quality measures and prior authorizations for medications, among other things. There is too much insurance oversight. Q: How do you interact with your patients? As a rural physician, do you have a special relationship with your patients? Dr. Haynes: You know [patients'] families, their fathers, their mothers and their children. You watch kids grow up and become successful. You set their broken arms, take care of their earaches and sore throats. It's a special relationship in a rural area; I can assure you. I know my patients as babies and watch them grow up. You feel proud that perhaps a tiny little part of you helped that child grow up. It's really been fulfilling in that respect. Dr. Franklin: The way I relate with my patients is as a patient advocate. The single most important element is the patient-physician relationship and physicians can't forget that. Physicians' primary duty is to the patient, not third-party payers. There is no trick to interacting with patients. I had a large, fairly urban practice and the relationship with my patients was the same as it is now — there aren't any differences except that my patients now may have to drive larger distances to see me. The patient relationship stays the same though. It's strictly logistics. Dr. Bosl: The rural family physician is much closer to their patients emotionally because they attend church with patients, they play basketball with patients and they see patients in the grocery store. There is an emotional connection that way. On the other hand, the care we provide is probably a higher level of care because we know how that patient functions in their present social setting. We know what is important to them; we notice things about patients on the street that have an impact on their care. We see patients in the context of their overall social system and we know a lot about what their stressors are — family stresses, work stresses, community stresses. These are all part of what brings patients in sometimes. Q: Why did you decide to move to a town with such a small population? Dr. Haynes: Well I grew up in a town of 500, so Vivian is a metropolitan area for me. It's not far from where I grew up, maybe 18 miles. When I graduated from medical school I was going into cardiovascular surgery, and my mom said, "Stop in Vivian and see that new hospital they've got there." I stopped by to appease my mother and sure enough, they grabbed me for 49 years, going on 50. Of course, I came back and talked to my wife and had a long discussion about if I should practice cardiovascular surgery, but we wanted to rear our children like we had grown up, in small towns. It was the right thing to do and it's proven to be so. Now both my boys are physicians and my daughter is a pharmaceutical representative. Dr. Franklin: I was a hospitalist in Parker, Ariz., for five years and they needed an outpatient family doctor in Quartzsite, Ariz., (pop. 3,677), so I transferred from the hospital to a hospital-owned clinic. It was a lateral move. Dr. Bosl: In medical school, it became clear to me I wanted to be challenged each and every day of my practice, and in family medicine that occurs. I take care of people age-wise from prenatal care to 100 years of age or older. I've taken care of five generations of a family in the same week. Compared to a super specialist, it's so much more intellectually stimulating. I never know what's behind door two. Another reason I decided to be a rural physician is I'm somewhat of a Renaissance physician. I've been trained to not only do basic family medicine, but I also take out tonsils and do appendectomies, colonoscopies and C-sections. I'm skilled in a lot of procedural kinds of things that they don't need family doctors to do in the Twin Cities. I grew up in a fairly small town and recognized there are a lot of opportunities that children have growing up in a small town that they don't in a big city. It was a professional opportunity to live in a rural area, it was intellectually stimulating, plus the advantages of raising my children in rural area convinced me. Q: Do you feel left out of the national healthcare discussion? Dr. Haynes: I feel like I'm part of it. I'm lucky enough to be part of state and national events, and with technology as it is, we can pick up the phone or iPad and see what the latest treatments are. Diagnoses and information on different diseases are at the tip of your fingers. It's made practice in a rural area much better and more fulfilling. We are also in close contact with our state representatives and congressmen, as well as our U.S. senators and congressmen. We interact with them quite often. Dr. Franklin: The Internet has brought big-city medicine to smaller towns. The guy in a rural area has the same opportunities for high-quality care wherever he's at. The Internet has made everything accessible. Dr. Bosl: I have had a great deal of input over the years through medical organizations. I've had input, but I'm a bit frustrated because our physician-as-God complex has disappeared over the years. I have been accused by my patients, 'Hey, why did you doctors allow this to happen?' referring to things that as doctors we should have prevented and should have influenced, but we don't. It's very frustrating that we're now at the point where essentially the insurance company decides what we will be given for a service and we are told to take it or leave it. If you don't like it, don't take patients from that insurance company. When you really can't stay in business any longer, your choices are to merge with a hospital or health system or just stop taking care of Medicaid patients or old patients, but most doctors don't feel it's an ethical option to limit practice by insurance. Q: Is there anything you would like to add about serving in a rural area? Dr. Haynes: We often take care of 90 to 95 percent of our people and illnesses here, and refer others to the tertiary hospital everyday. To me, it would be much better to take care of people where they live rather than have them travel into the cities for care. The key is well-trained family practice doctors who are trained in multiple areas, but medical schools are not producing that type of physician anymore. It is really important for medical schools to take a long look and provide special training for the family physicians who want and need to go into rural areas. As a rural physician, you have to make decisions and solve problems without specialty care, and it's very important to train physicians to provide that care. I can say this: It's been 50 years and I've never experienced what they call "burnout." I was by myself for awhile — my partner died young with a brain tumor — and even though I was very tired and worn out, I never had burnout. I made the right choice. Dr. Franklin: It's still a rewarding career, and I would not change careers if I had to do this again. If a doctor says he wouldn't go into medicine again, he should probably change careers. This is a great profession. Dr. Bosl: The one question that always comes up when we talk about physician supply or stresses of practice is 'Would you want your kid to do this?' I'd say, 'Hell yes.' We get frustrated with insurance companies, rules and regulations and financial aspects. We get called in the middle of our golf game, but the bottom line is the enjoyment I get in taking care of my patients and the intellectual stimulation of doing that makes everything else minimal.